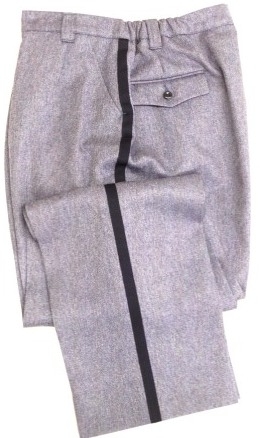 Ladies Winter Weight Pants are Union Made in the USA. Double tipped front pockets for extra pocket wear. Size tips if your waist/hip measurements are 22 waist/32 hips order sz 2, 24/34 sz 4, 26/36 sz 6, 28/38 sz 8, 30/40 sz 10, 32/42 sz 12, 34/44 sz 14, 36/46 sz 16, 38/48 sz 18, 40/50 sz 20, 42/52 sz 22, 44/54 sz 24, 46/56 size 26. Hemming is included, please specify inseam or outseam.